Take the most beloved, imitated, innovative and influential film in movie history, set 90 seats for the world’s greatest orchestra, lay down sheets of music by one of cinema’s most consistently brilliant composers and house it all in one of the planets most iconic venues. What do you get? 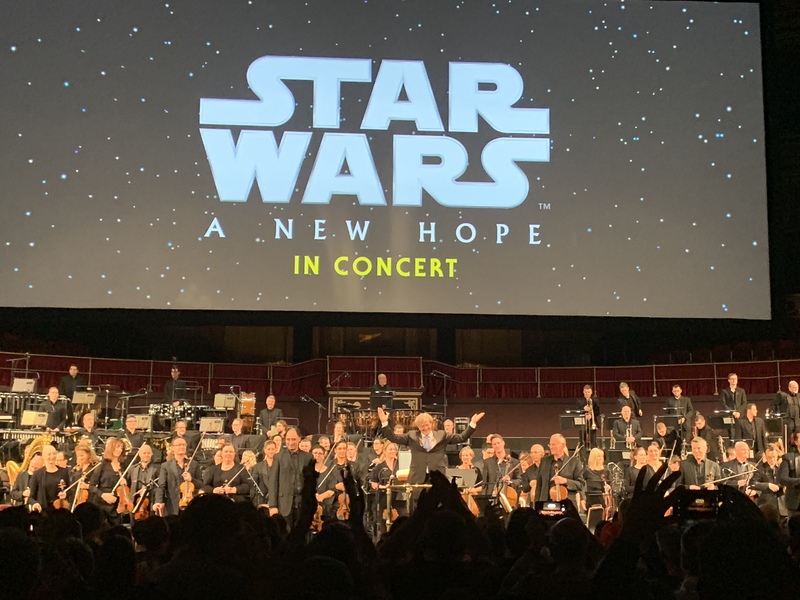 You get the European premier of Star Wars: A New Hope In Concert, and Fantha Trackers Clair Henry and Paul Naylor were there to cover the action. Where do I begin? This film is THE one – I know I may actually like some of the others a little bit better, but this is the film that began my journey and shaped my life in more ways than I know! As soon as I heard that this concert was on at The Royal Albert Hall, I signed up immediately for the priority booking membership to secure our seats in the auditorium. 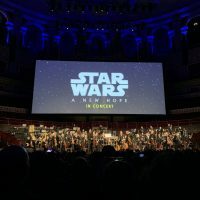 I was excited I would be taking my 10 year old daughter to see Star Wars: A New Hope at the most iconic music venue in London. I sat back ready to watch the film with my family and fellow Fantha Paul Naylor, the lights dimmed and then…. The 20th Century Fox theme belted out, the audience erupted into thunderous applause and I saw the look my daughter gave as the opening title starting to scroll. This is what I wanted, for my daughter to see Star Wars on a big screen with the iconic music live in an iconic venue. The London Symphony Orchestra were seamless following the magnificent Ludwig Wicki whose job it was to ensure the orchestra kept in time with the visuals, dialogue and sound effects. 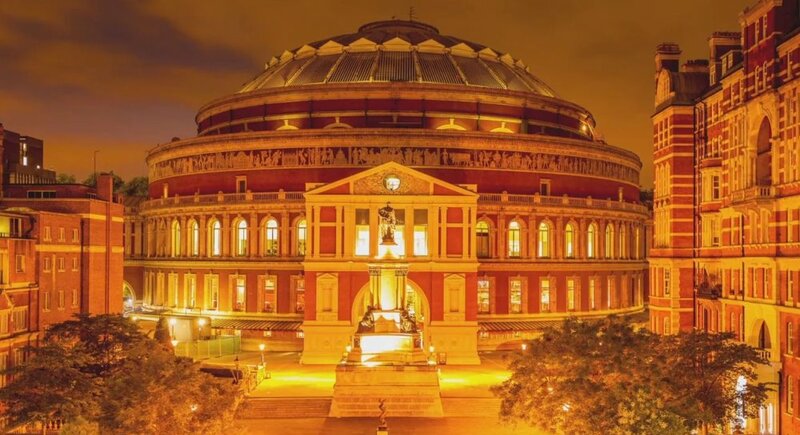 Earlier that afternoon we had a tour of the Royal Albert Hall and we will explain more about the pressure of this and how the Royal Albert Hall’s production came about in our next article. Back to the movie and orchestra…. Seeing the movie on the big screen allowed me to go back and appreciate future Star Wars films including Rogue One: A Star Wars Story. I was critical of the CGI Leia at the time, but watching it again the likeness to the young Carrie Fisher was a lot better than I remembered. John Williams’ score ebbed and flowed as it always does, taking me back to my childhood as I hummed and tapped my way through. I watched and listened with fascination at the accuracy the orchestra and how they were perfectly in sync. I think I watched the orchestra as much as I watched the film. Highlights for me included The Main Theme, Princess Leia’s Theme, Luke standing watching sunset (Binary Sunset), Imperial Attack and The Throne room. 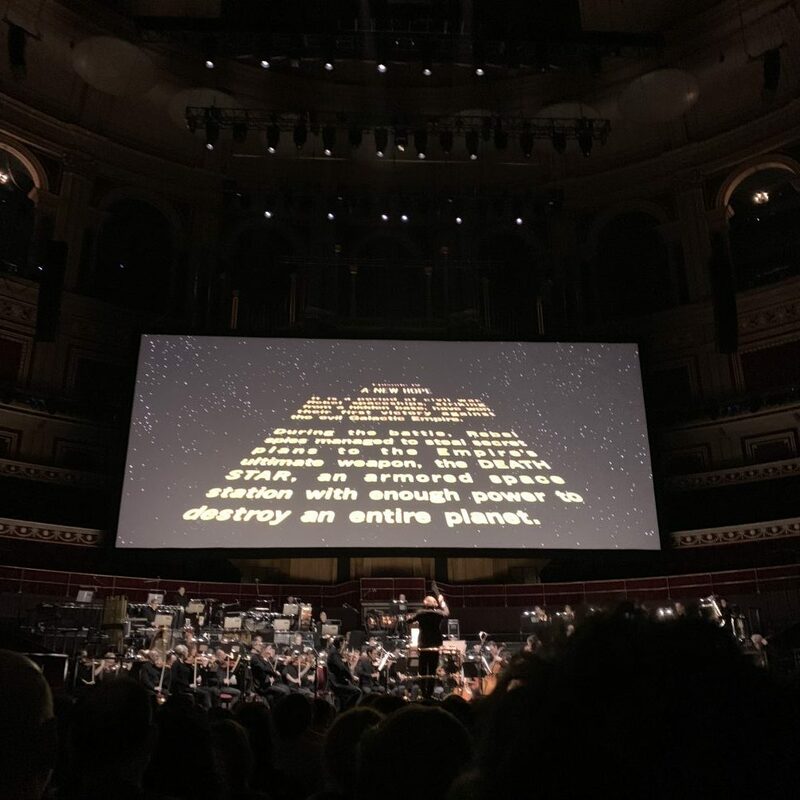 My daughter reactions at the end of the film was the best any geek mum could wish for “Wow mum that was awesome” This for me was the best part of the evening, and it was all due to the production team at the Royal Albert Hall and the performance of the London Symphony Orchestra. The audience stayed right through to the end of the credits and gave the Orchestra a standing ovation. 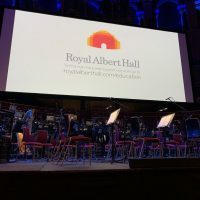 What could be better than watching Star Wars: A New Hope on a large screen with The London Symphony Orchestra playing at The Royal Albert Hall! I’m looking forward to seeing the performance again in Birmingham. If you love the Original Trilogy then this is the way to see it! Here’s hoping they finish the trilogy! Star Wars never ceases to surprise me. I first watched what is now known as A New Hope at a fleapit of a cinema in Shropshire back in 1978. If you’d told that seven-year-old that some 40 years and a few months later he would be watching it on a big screen yet again, he’d probably have laughed into his long collared shirt. However, my most recent screening of the 1977 masterpiece was by far and away my favourite. I traveled by car from the Midlands to London purely to enjoy the majesty of ANH in a fittingly beautiful arena. The Royal Albert Hall is a stunning venue. My kids – Matthew and Rachel – were rightly impressed when we arrived and made our way to meet up with fellow Fantha Clair Henry and her family. Incredibly, Clair and I had booked our seats completely independently and ended up sat next to each other. Never tell me the odds. 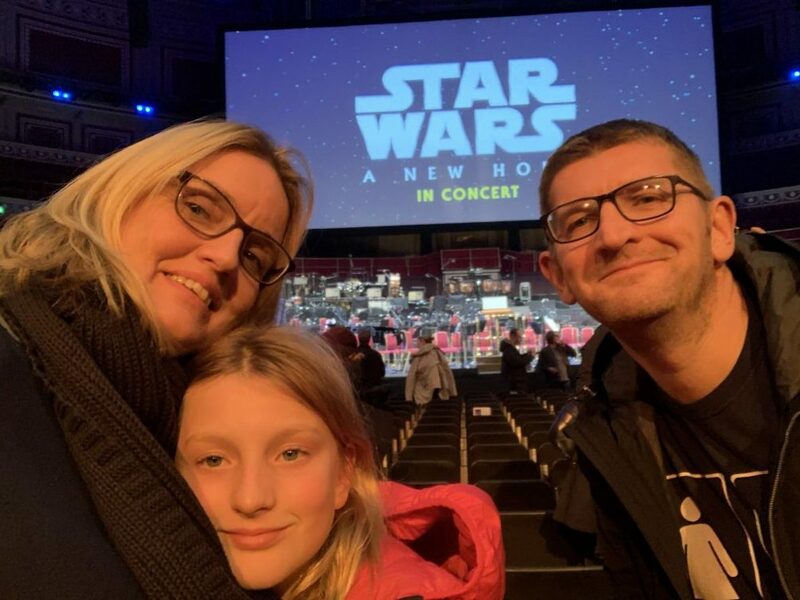 Seeing Star Wars on the big screen is always the best way of course, but add to that a live orchestra – the London Symphony Orchestra actually – playing the John Williams soundtrack perfectly as the scenes unfold is sublime. The Live Tour of ANH began its UK run at the RAH on November 16th and stops off at Liverpool next on November 28, finishing at Glasgow’s SSE Hydro on December 9th. So what is it like? Well, for the purists out there, you will be thrilled to know that the 20th Century Fox Fanfare is included. Set goosebumps for stun. The orchestra was wonderful throughout, beautifully in time with the film. If, like me, when you saw the Special Edition in 1997 it felt like seeing the film anew, then this equals that experience. On occasion, you forget the orchestra is nestled beneath the gigantic screen, immersed in the story as ever, but you can’t help glancing from time to time at key points. Luke staring at the twin suns being a case in point for me. 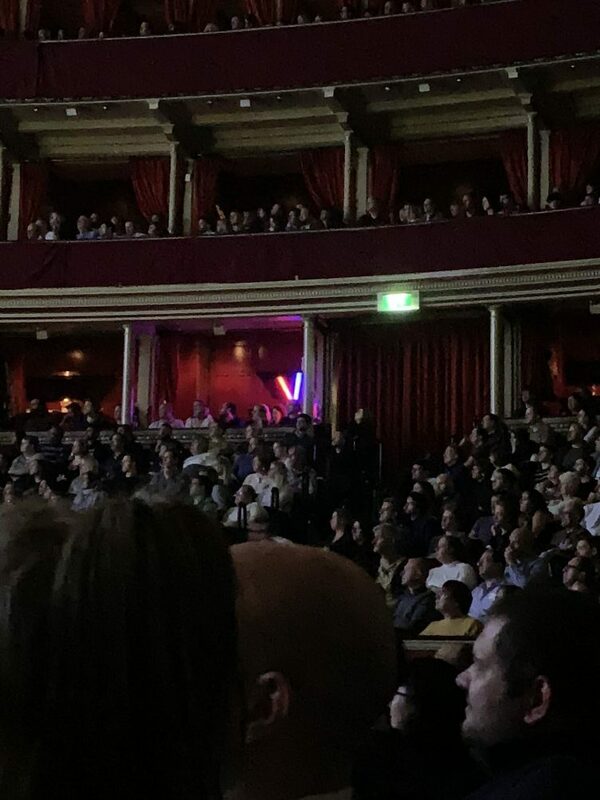 One of the highlights for me was spotting a pair of blue and red lightsabers way up in the audience, ignited by their owners during the Vader/Kenobi duel. Whoever they were, well done. A nice little moment that wasn’t milked. As soon as old Ben was chopped through the sabers were extinguished. As the film came to a rousing climax, the audience collectively rose to its feet for a lengthy ovation that was lapped up by the LSO and most notably by its conductor. Event Review: Spa Wars 2017: There was an awaking in Leamington Spa: did you feel it?